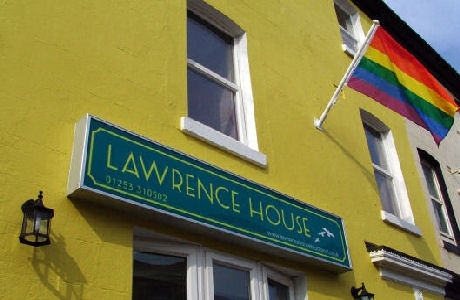 The Lawrence House in Blackpool is a gay run establishment for gay people and their friends (that includes nice straight people!) where you are guaranteed a warm welcome. Situated in the North Shore yet close to the promenade and town centre. The nearest train station to us is Blackpool North which is approximately 5 minutes walk away. The National Express coach station is on Talbot Road which is only a short walk. Once in Blackpool find the promenade and from the North Pier we are slightly north. Turn right into Banks Street and left into General Street. You will find us just on the left.